inspiring clever ideas. We are my. 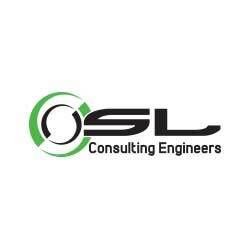 OSL is a multi-disciplined team of creative, forward thinking technical specialists, providing front-end engineering and provision of innovative solutions for gas and oil processing, transport and storage. They pride themselves on thinking differently and wanted an office that represented their ‘clever thinking’ tagline. Our approach was to add a touch of genius to their interiors with a timeline of “clever thinkers” following the customer journey from the front doors, up the main staircase and into meeting rooms named after historic scientists and engineers. With interiors like these, OSL’s clients buy into a company that thinks differently and solves problems effectively. We also created an inspiration space the engineers could use to develop ideas and new concepts. Employees can now escape to the ‘Clever Thinking Room’ with a floor to ceiling forest scene, dimmer lights for ambience and CSI style glass writing walls. The 65” touch screen computer helps staff perfect ideas and then emails them to the team. And, when staff need to take a break and clear their head, they can play mini golf. The room has already shown a return on investment by the team creating new and exciting solutions. We have continued our relationship with OSL, building their latest website and designing and producing marketing materials from business stationary and brochures to emails and event items.